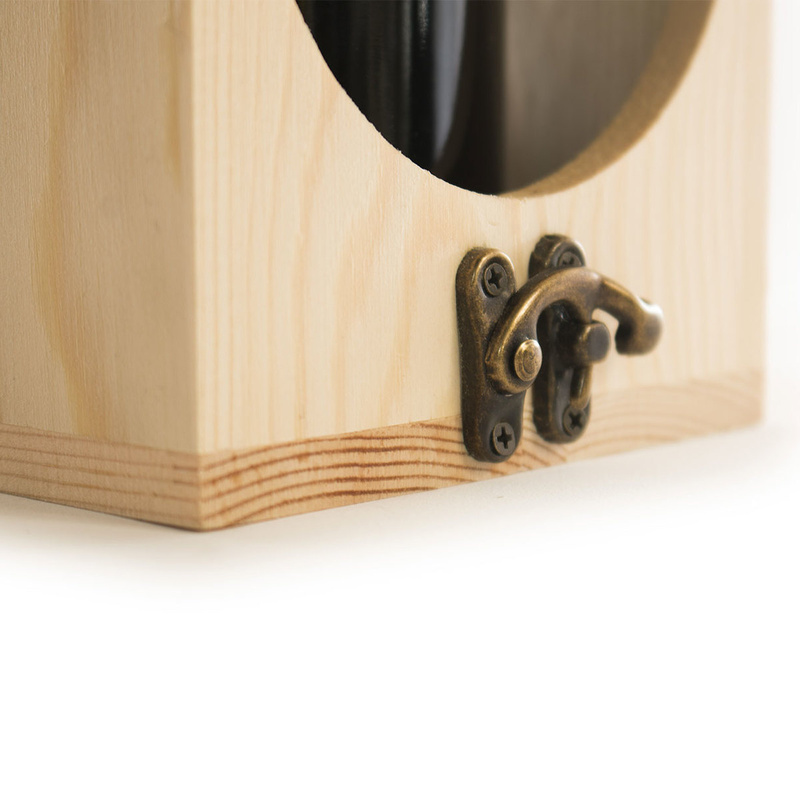 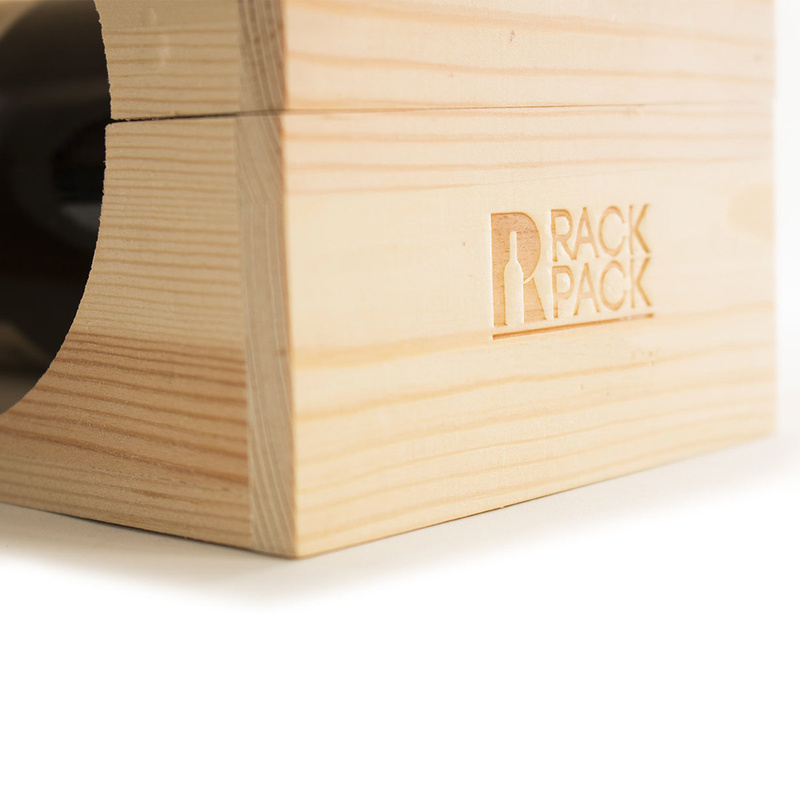 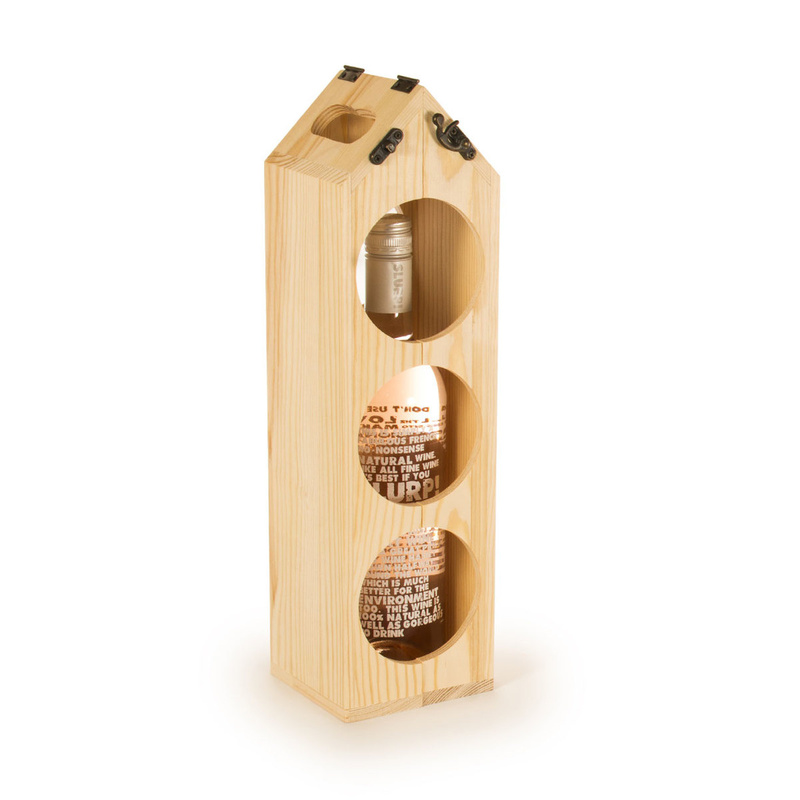 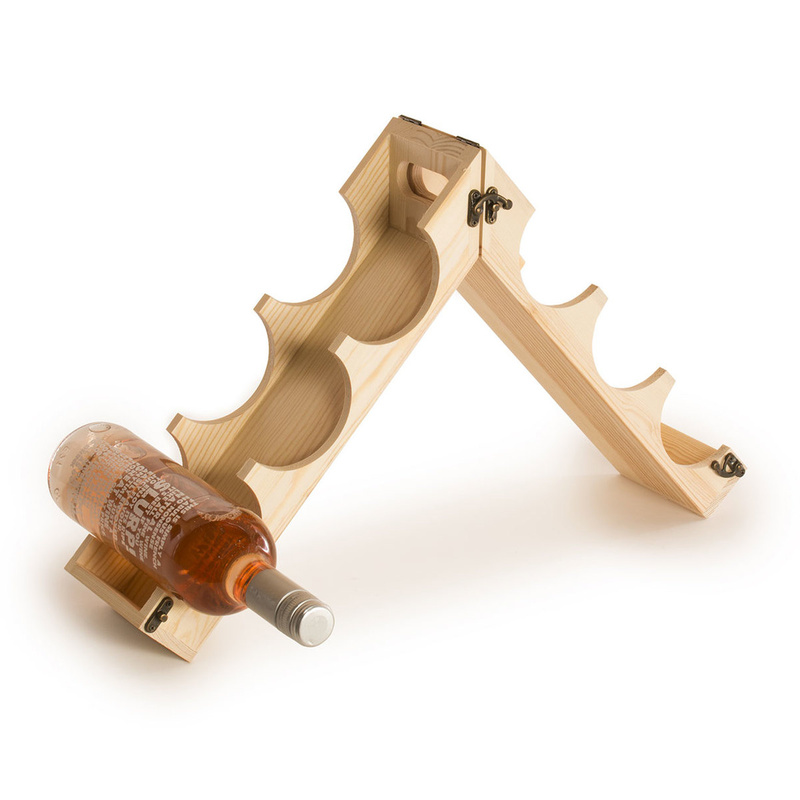 Rackpack is a wooden gift box for a bottle of wine that turns into a wine storage rack. 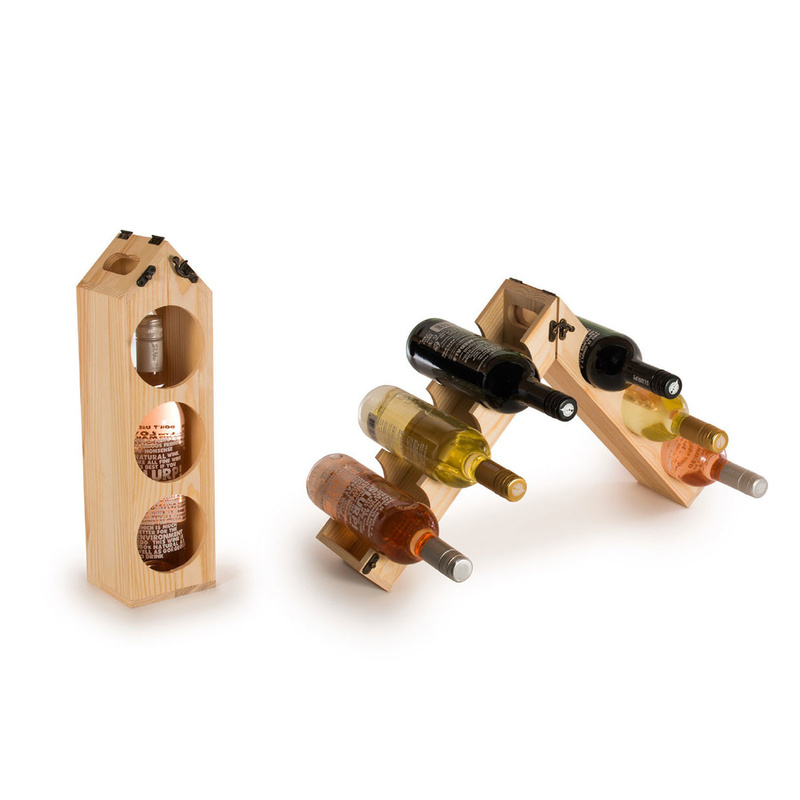 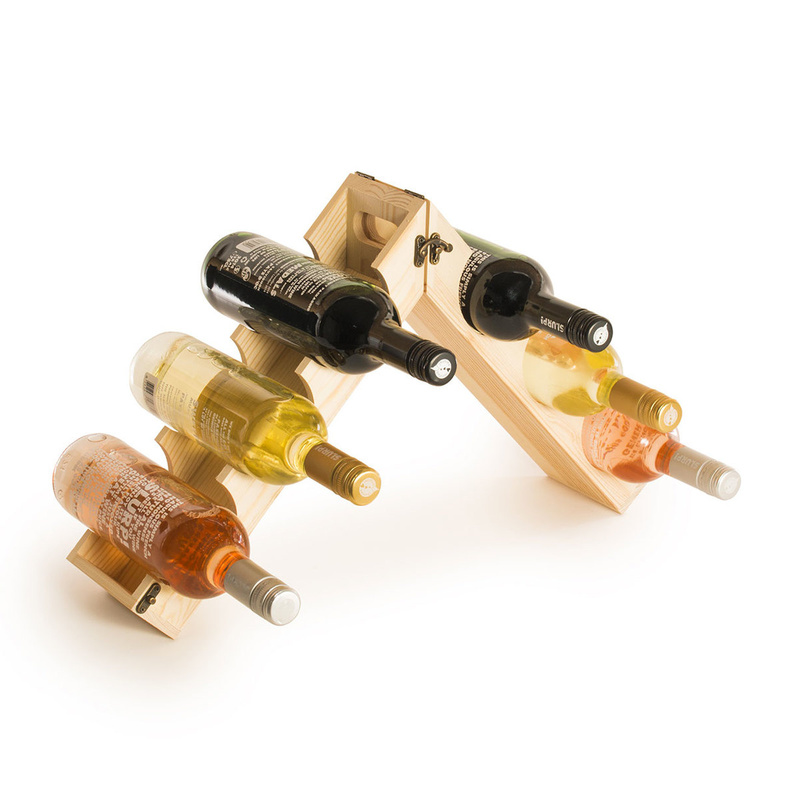 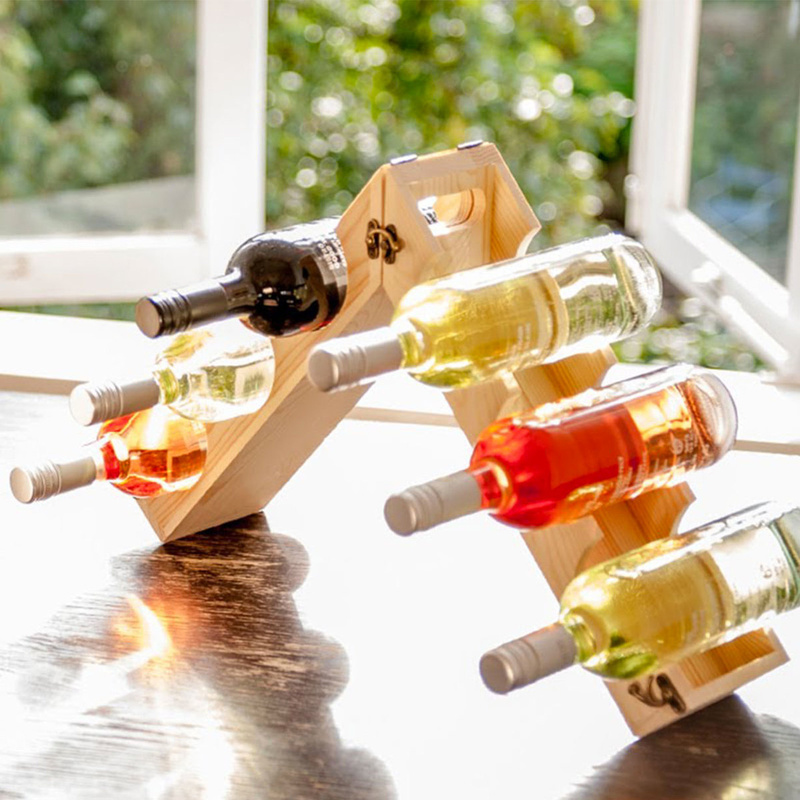 In addition to helping your bottle stand apart from other host and hostess gifts, the Rackpack can be transformed from a carrier to a wooden wine rack with the simple flip of a few hinges. 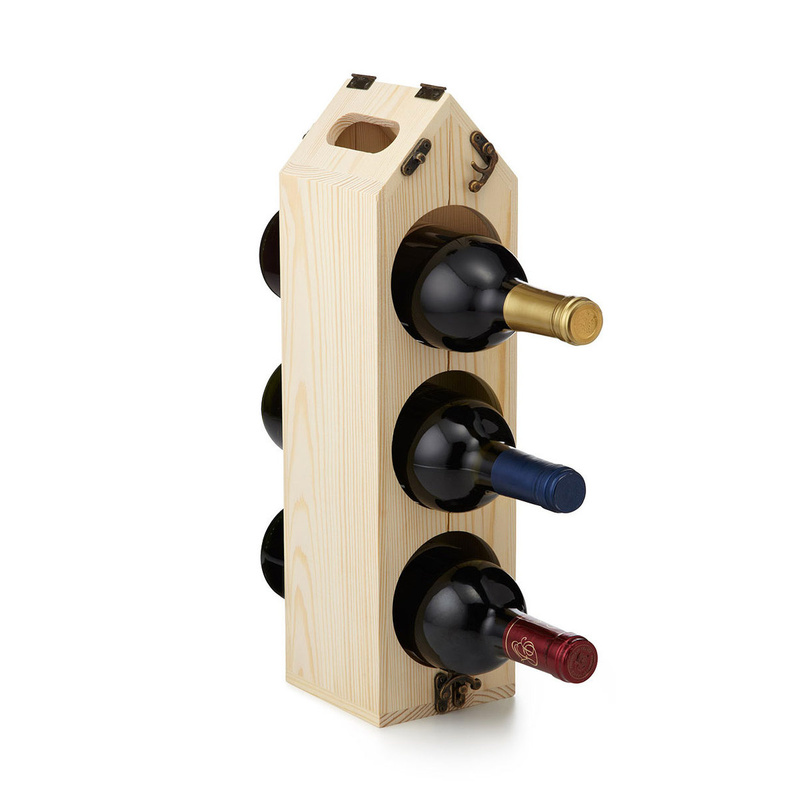 It can be reconfigured several different ways for storing three, six, or even 12 bottles of wine.